Article sur Progesys préparé par Jillian Clark du Mining & Energy. Riad Faour co-founded Progesys in 2002. In the beginning, it was just two employees. 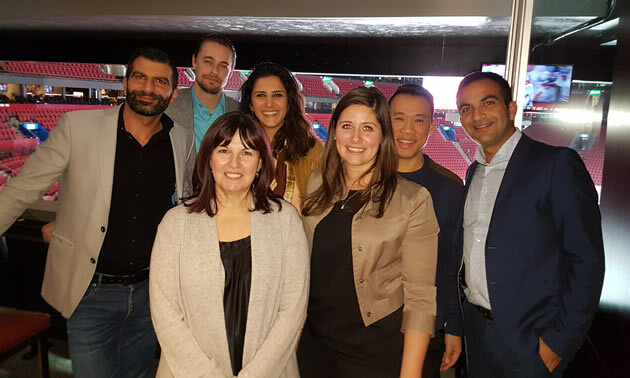 Now the team is more than 100 people based out of Laval, Quebec, who are sent to work at projects around the world alongside locally hired employees. Progesys focuses on project management from the early stages of project initiation, onwards into commissioning and operation. Essentially, the company looks at projects through the owners’ eyes and supports project owners with what they need most: good project management and optimal commissioning. This support could be integrated with the owner team along the way or managed entirely by Progesys under contracts. Some specific duties include: auditing engineering firms, auditing contractors, implementing cost control systems, planning, managing risk and reporting to the board. However, Progesys’ specialty lies in preparing projects for Day Zero, that is, commissioning plants. Faour, CEO of Progesys, gave Goldcorp’s Eléonore project in James Bay, Quebec, as an example. “The operation was able to start the plant with no unplanned shutdowns earlier than the scheduled date,” he said. Although Goldcorp’s project was on the larger end of the spectrum, Progesys customizes its services based on client needs to offer all sized projects the expertise necessary to bring their project through commissioning smoothly and on schedule. In an industry that moves as fast as mining, a company’s success often depends on its employees’ ability to learn and adapt to overcome challenges. At Progesys, each of its engineers and technicians possesses these skills. “Our employees are exposed to all kinds of projects because we have engineers who have worked in many places,” said Faour, not just in Canada but in countries around the world. “They see a lot of different environments and they integrate into different cultures,” he said. This makes employee adaptability one of Progesys’ most well-known traits. “We often hear feedback on how fast our people are capable of learning their environment and adapting,” he said. Another factor to Progesys’ global success is management’s ability to understand and appropriately place its employees with projects to create a perfect match. “The important thing is to know the workforce,” said Faour. “It’s important to understand the objectives and conditions of the project. What are the challenges?” By understanding the workforce, Progesys sends teams to projects that match their skill sets. The commissioning phase of a mine and process plant is often underestimated. When a new project is planned, project owners look for engineering firms to handle the design and contractors for construction. Few focus on preparing a structured plan for commissioning or bringing in commissioning specialists. Progesys is the missing link that guides project owners through the process. “Commissioning work is a completely different rhythm from engineering and construction,” Faour said. Commissioning cannot be done alone. “You bring energy on site. You progress at a fast pace. You involve a lot of people in a very short time.” Commissioning is a challenging and crucial phase for every project that requires a specific strategy for success. When Progesys guides a project through commissioning, the company uses its expertise to engage and communicate with all departments involved. Progesys proves time and again its staff can meet operational deadlines. The date chosen for operation to commence often does not change because project owners want their plants ready to run as scheduled. “We have the challenge of making up any time caused by delays during engineering and construction,” said Faour. Despite the challenges, the Progesys team has learned how to work well under pressure. “We know it’s intense, but we make sure it’s never stressful,” Faour said. “We cannot deliver as a team on site if we are ever stressed.” It is the specialized team that makes meeting these deadlines stress-free and without unplanned shutdowns possible. “We are known to be a catalyst for delivery,” he said.